This year, the BFF Exchange will be held once again at Kickstarter’s headquarters in Greenpoint, Brooklyn, on Saturday, June 8. Save the date! We will be kicking off the day with our popular Lunching with Lawyers session – a free 20-minute consultation with experienced entertainment attorneys. Sign up now by emailing us at exchange@wbff.org. We’ll follow that with panel discussions, and our pitch session, where we will see five NYC documentary projects screen a portion of their work and pitch their docs to our panel of experts. It’s a great chance to see how documentary projects are made, and the tough questions producers and directors have to navigate. We are still accepting projects for consideration – email us at exchange@wbff.org with a link to a trailer or scene of your doc in production, along with a brief description of the project, by April 26. Prizes will be awarded! After the pitch session we’ll pitch a few Heinekens back on Kickstarter’s lovely roof garden for a networking happy hour, sponsored by Heineken. 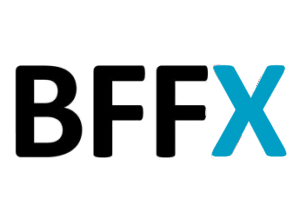 Born in 2012, the BFF EXCHANGE was created to connect Brooklyn filmmakers with each other and the larger New York film community. In our relatively short history, Exchange projects have already gone on to premiere here at the Brooklyn Film Festival as well as HotDocs, SXSW and Tribeca. We’re always looking for more projects – drop us a line at the address below and let us know what you’re working on!